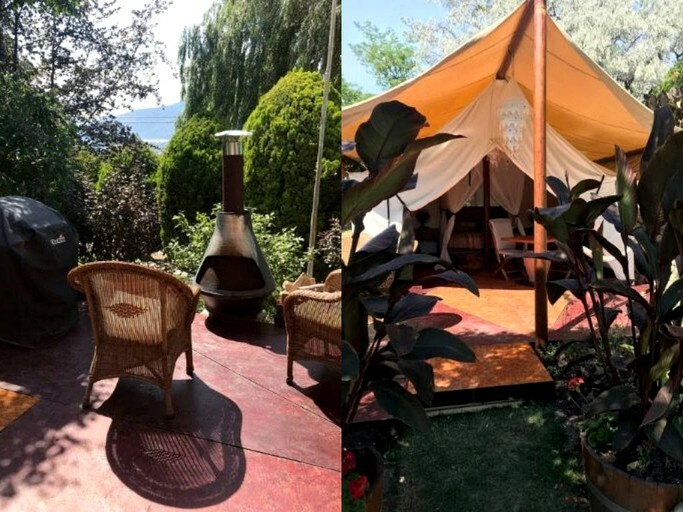 This elegant glamping tent is located in Penticton, British Columbia, and is ideal for a romantic getaway for two glampers. Nestled in sublime nature, the tent offers privacy and all the comforts of home. 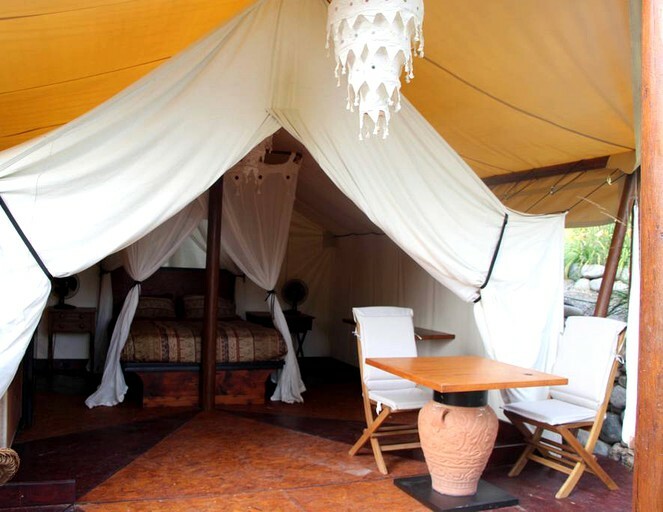 Inside, glampers will find a plush queen-size bed, luxury linen, and bath towels. 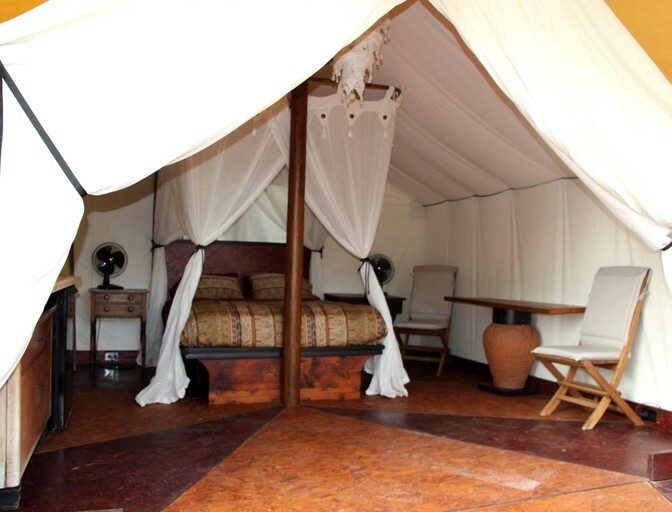 The tent is furnished to excellent standards and features a private bathroom with modern amenities. Additionally, glampers can kick-start their day with soft music from the MP3 player and a cup of coffee or tea, savored on the walk-out deck. 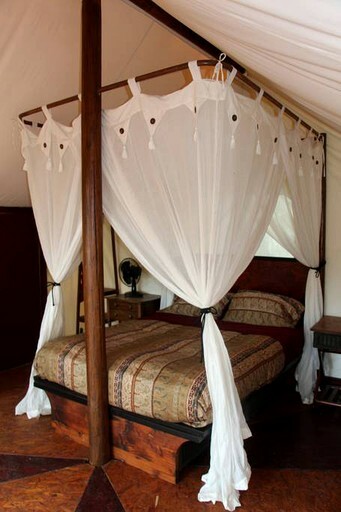 The hammock offers the perfect spot for an afternoon nap, or glampers can relax with a bestseller in hand. This luxury vacation rental offers modern conveniences that will make any discerning glamper feel right at home during their stay. With amenities such as indoor and outdoor showers, a fireplace, linen, towels, toiletries, and Wi-Fi, glampers will enjoy all the creature comforts of home. 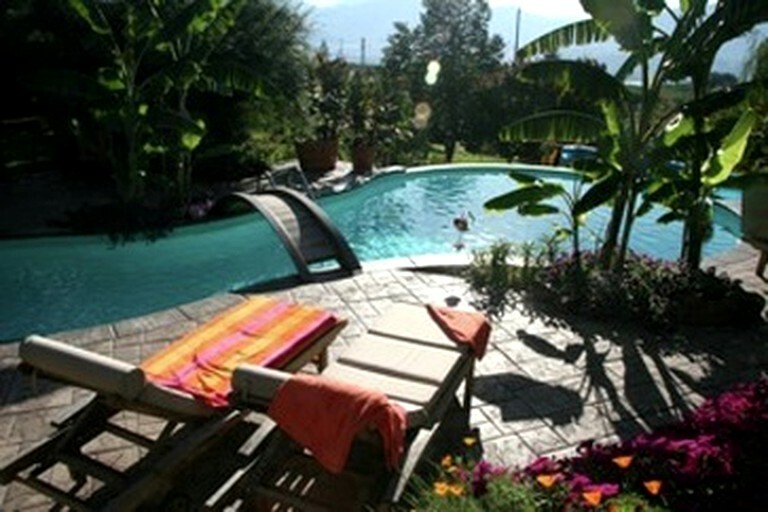 Outdoors, glampers will find a shared seasonal swimming pool for those balmy summer days. Penticton beckons glampers to relax and unwind while getting back in touch with nature. The area boasts incredible mountains that hug the glittering lakes, ideal for photography enthusiasts to take a moment and admire. The beaches here are ideal for sunbathing, picnicking, and splashing around the surf, and some boast rest rafts, beach slides, volleyball, fire pits, and marinas with boat launches. Okanagan Lake Beach features an inflatable water park and glampers can walk from one end to the other and enjoy restaurants and plenty of beach vendors. Just beyond the property, glampers can visit the Poplar Grove and Monster Winery, where they can enjoy some local wine and tapas or a delicious wood-fired pizza at The Vanilla Pod. Golfers can practice their swing at the Osoyoos Golf Club while those looking to get their adrenaline pumping can embark on rock climbing adventures, enjoy an ATV tour, or zip-line across beautiful canopies.